Patrons may borrow circulating items from the library’s collections. Generally, patrons may have up to ten items on loan at any given time. Faculty may borrow an unlimited number of items. Borrowers are responsible for returning materials in good condition by the item’s due date. Most items may be renewed online at any time before they become overdue. You may also renew items by phone or in person. Although the library no longer charges overdue fines, patrons may now be suspended for overdue items. Patrons will be billed for lost or damaged items. Patrons with unreturned items and/or unpaid balances may be prevented from borrowing additional items, using library services, and/or obtaining academic transcripts. STC Students – A current STC student ID card is used as a library card. 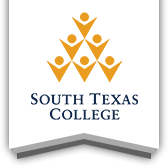 STC ID cards are issued at the Student Information Center (956) 872-8311 or Student Activities Center at each campus. STC Faculty and Staff – A current STC employee badge is sufficient to check out library materials. The employee will also need to provide his/her One Username, which is used for library employee accounts. Community Users – A current STC community user library card is required to borrow items. Click this link to learn how to obtain a community user card. TexShare Users – A current TexShare card from another library is used to check out materials. Here you can learn about the TexShare Card program. Students, community users, and TexShare users who have an overdue item will be suspended from borrowing any library items until the overdue item is returned. In addition, some item types may result in suspensions that extend after the item is returned, as shown in the chart below. If a library item is lost or damaged, the patron will be billed for the cost to replace the item, as well as a $30 processing fee for most items. If an interlibrary loan item is lost or damaged, the lending library will determine the replacement cost, as well as any associated fees. Bills for lost or damaged items can be paid with cash at any campus library.